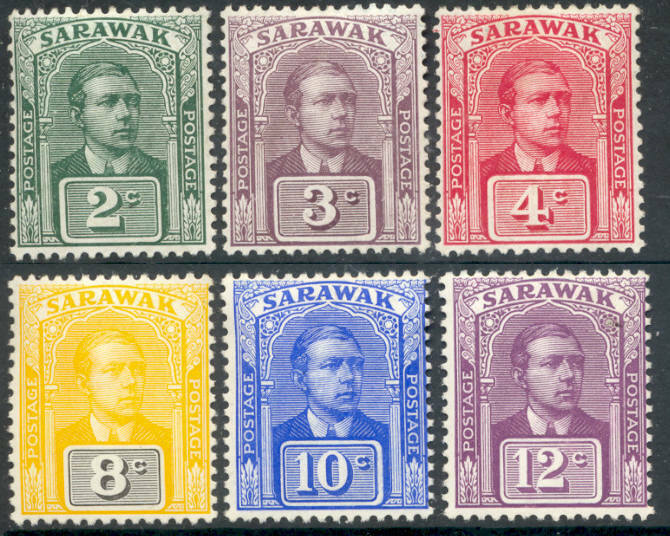 m SG 2, 27, 33 and 35. Sir Charles Brooke - four different. (£ 16). m SG 3/7. 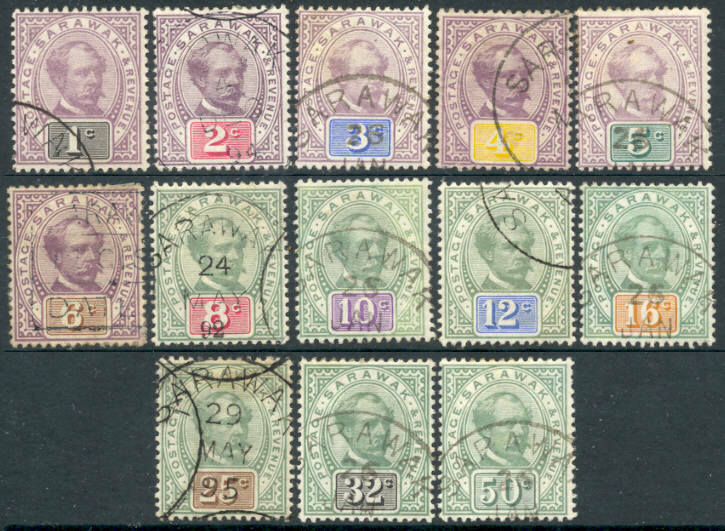 Sir Charles Brooke 1874 - complete set. (£ 30). m SG 8/20. 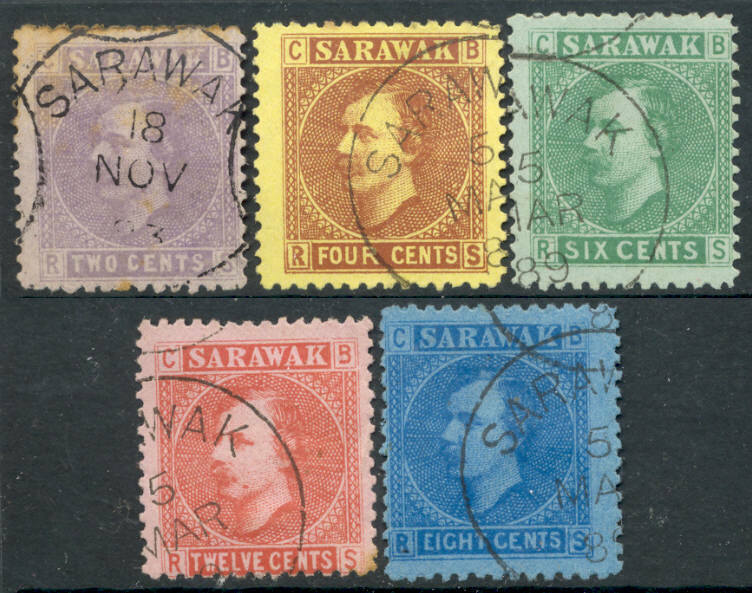 1 c to 50 c Sir Charles Brooke 1888. (£ 360). m SG 23 and 24/25. 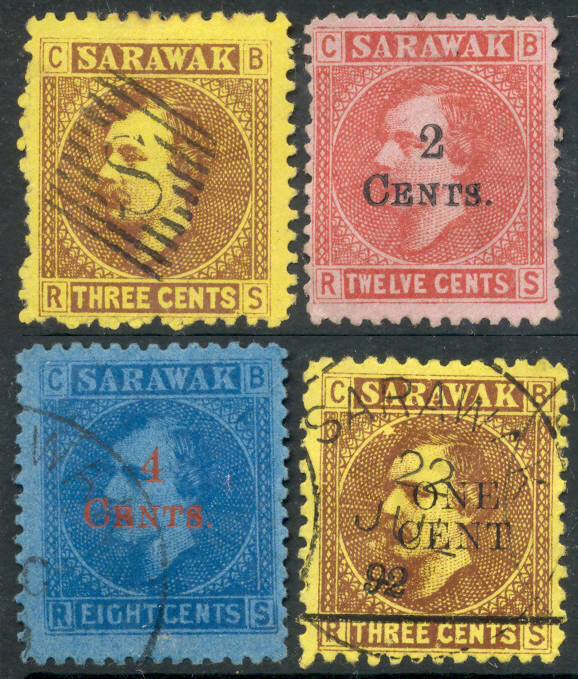 Surcharges 1889. (£ 53). 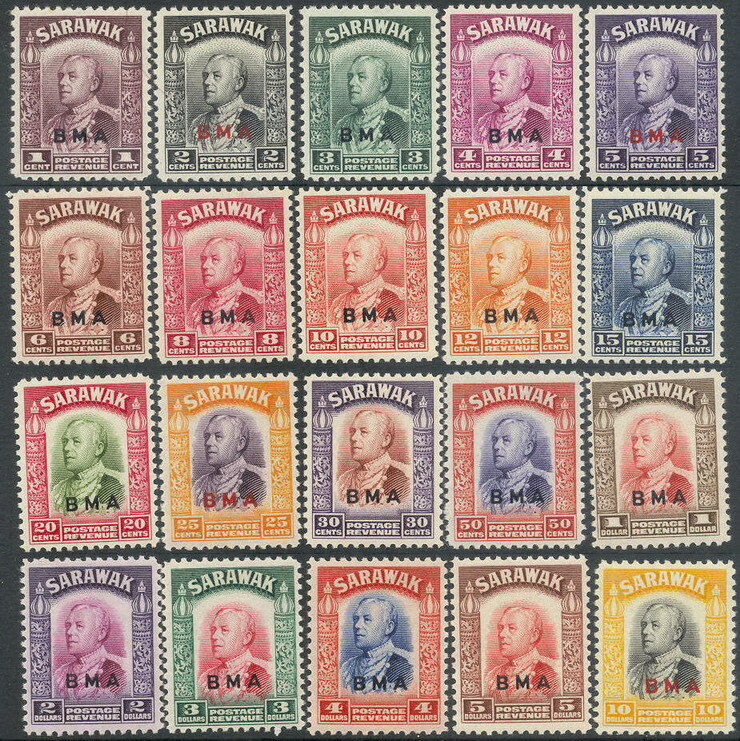 Y SG 51/56. 2 c to 12 c Sir Charles Brooke 1918. (£ 38). YY SG 106/125. Sir Charles Vyner Brooke 1934 - 20 values. (£ 260). m SG 185. 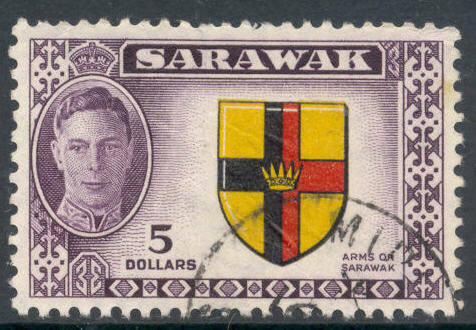 $ 5 George VI 1950. (£ 19). m SG 202. 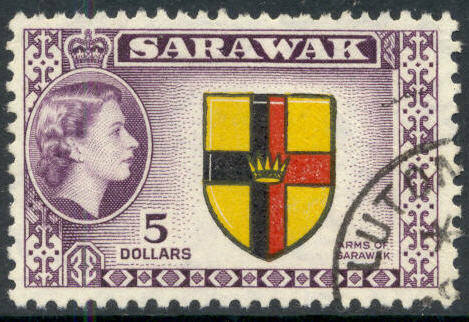 $ 5 Arms of Sarawak 1955. (£ 12).